Relaxation is the major motivation behind the purchase of home spas. Sophisticated designs and placement of jets have created a therapeutic experience that’s hard to beat. Arthritis sufferers, people with back trouble or insomnia, or simply anyone seeking relief from day-to-day stress often enjoy significant benefits by utilizing a home spa on a regular basis. If you’ve ever sat in a hotel hot tub on vacation and found the water too hot to enjoy, a home spa can offer a much more personalized experience. With a home spa, you control the temperature, opting for the degree that best suits your personal comfort level (usually somewhere between 98 and 102). When the water feels just right for you, that’s when hydrotherapy’s magic starts to take place, quieting and soothing the body, slowing down the activity of internal organs. Tense muscles ease up and anxiety from stress seems to melt away. You can step into a tub of hot water any time, even when the temperature outside is zero degrees. The air above the water gets heated too, so using your spa year-round, especially with snow on the ground, is a great way to chase away those winter blues. Just spring for a nice robe to get you from house to tub and back again. A spa purchase is likely to be life-changing. Some folks describe their home spa as “the best thing they ever bought.” A home spa offers both feel-good benefits and a chance to bond with family and friends while enjoying the outdoors. The only regret — most owners wish they hadn’t waited so long. Unfortunately you cannot tell the quality of a spa from a picture or catalog, or even this website. Looking at a picture of a spa and seeing the spa in person are two completely different things. There is no substitute for seeing the spa in a showroom, especially seeing the spa operating with water. Differences in materials, design, quality, fit and finish are only apparent when you see the spa in person, which is why we have 15 spas on display in our indoor showroom. Being able to see the spa filled with water and functioning allows you to compare different jetting configurations and power packages. Our dry spas are available for you to sit in, so you can see if the spa will be comfortable for your particular size and body type. One of the first considerations when purchasing a portable home spa is size. The average spa is 7×7 or 8×8. If space is at a premium, 5×7 spas are available. With three different manufacturers and over 48 different models to choose from, we’re sure to have the right spa for you. 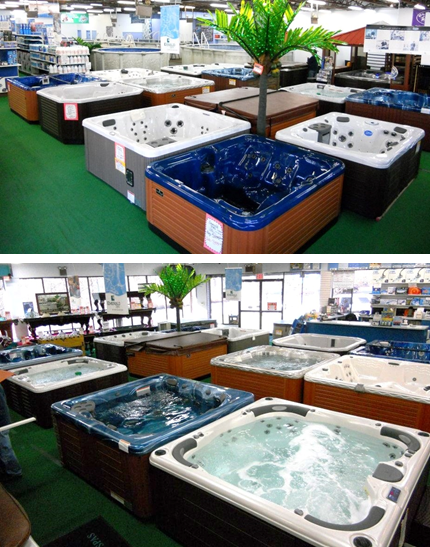 We also keep a large selection of spas in stock for immediate delivery. 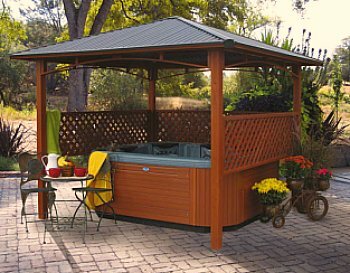 Before you shop, assess your outdoor space and determine where you would like to put your hot tub. We suggest you block out the space with a garden hose or rope to create an outline of where your spa will go. Look for a level space to locate your spa. It can be installed on patio blocks, on cement or on a ground level deck. There’s also a plastic pad that can be placed directly on dirt, allowing you to install a spa on top of the pad. You’ll want to choose a spot for your spa that offers easy access to your home and proximity to electricity (some spas can run off a regular 120-volt line; others require a dedicated 220-volt, which an electrician can install). For a new spa to be delivered to your backyard, a path at least 30 to 38 inches, the width of most spas when turned on their sides, must be clear. If direct access is impossible, Staten Island Pool & Spa can deliver via a crane at an additional cost. Our customers have craned spas onto roof decks in Manhattan and over four-story brownstones into Brooklyn backyards. Make sure your garden hose can reach the spa, so you can fill it up with water. The spas require about 250-350 gallons of water. It sounds like a lot, but it’s a drop in the bucket compared to what the average pool requires. Unlike a pool, you can easily drain a spa if it won’t be in use. For regular water maintenance, a spa only needs to be drained and refilled every three to four months. A built-in system sanitizes the water and keeps it heated, so it’s always warm and ready. A cover keeps heat in and protects the spa from falling debris. A home spa can run anywhere from about $2,500 to about $15,000; the majority fall into the $3,000-$6,000 range. Easier to maintain than a pool, they are a water source that can be enjoyed year-round. Before you buy, make sure the dealer, like Staten Island Pool & Spa, is authorized to provide service. 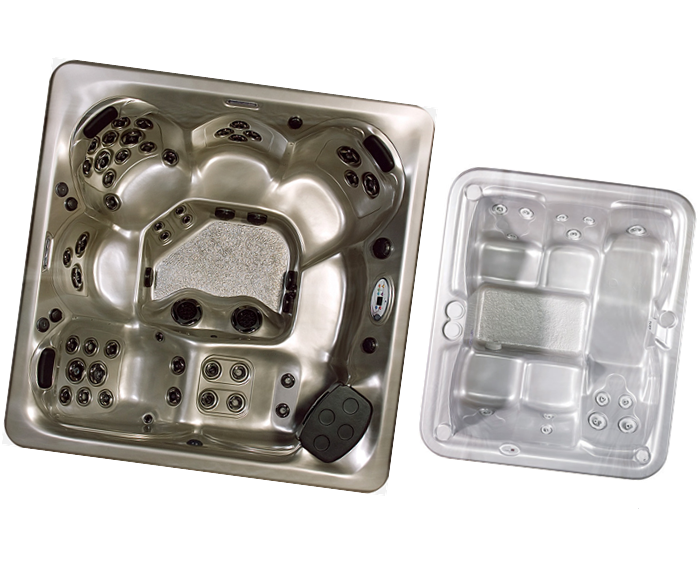 While many spas come with a warranty from the manufacturer, it’s usually the dealer who provides the service. The dealer should have a full-time technician who can repair spas or assist with any problems. We strongly recommend that you always buy from a dealer that will service your tub. Spas are generally reliable, but if you have no one to call if you have a problem, they can cause a lot of heartache. Unless you plan to fix the spa yourself, do not buy a spa from a manufacturer with no local dealer support. The showroom here at Staten Island pool and Spa is open 7 days a week (click here for showroom hours and directions) and always has at least 10 full spas on display indoors. With 3 or more spas filled with water and powered up, you will be able to see and feel the hydrotherapy of our spas. 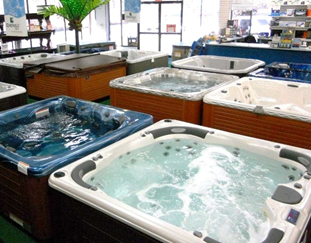 Come on in and talk to our experienced staff about your hot tub needs. Be sure bring in the measurements of where you would like to place your new spa, and we can show you the available styles and sizes to suit your space. And don’t forget to take a look at our spa gallery to see spas that we’ve installed throughout the area.